1729: Famed orator, statesman and philosopher Edmund Burke is born in Dublin. Burke is rightly praised for his skills as an orator, although his excessively flowery language and exceedingly lengthy speeches (some more than six hours in parliament) would lose listeners very fast today. 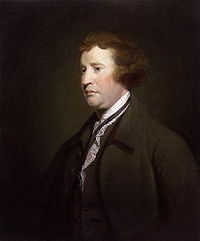 Today praised as the father of modern conservatism as evidenced by The Edmund Burke Institute for American Renewal, he was never afraid to speak his mind, taking issue with British policies in India, America and Ireland. 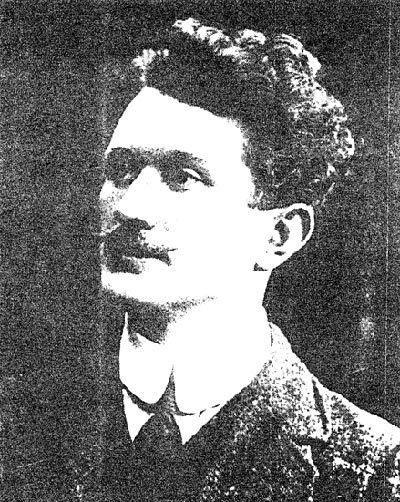 1885; Thomas Ashe is born in Lispoole, Co Kerry. Ashe was a founding member of the Irish Volunteers He joined the Irish Volunteers in 1913 and was involved in the 1916 Rising fighting in Ashbourne where the Irish rebels did have some success. Ashe was released from British custody in June 1917 as were most 1916 volunteers. He quickly got arrested for anti-British activity again and was sentenced to two years jail. When he was refused political status in jail, he went on hunger strike. Aggressive force feeding by his jailers went badly wrong and he died on this day in 1917. For an Ireland that deeply despised British actions in executing the 1916 leaders, the death of Tom Ashe generated another huge surge of nationalist emotion and anti-British feeling. May be borne by comrades dear. That Ireland may be spared. 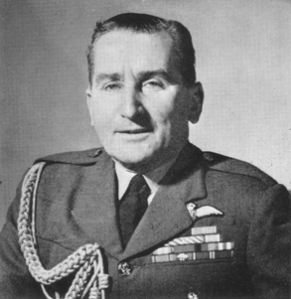 Fogarty was born in Cork in 1899. Fogarty was one of thousands of Irish who fought in the British forces in World War I where he served as a pilot with 98 Squadron in the Royal Flying Corps which went on to become the RAF in 1918. “Born in Cork, Ireland he attended Farran Ferris College in Cork, he gained RAeC Certificate No 5739 on 22 Nov 1917. He was awarded his DFC for distinguished service during operations in Iraq in 1922. Following attachment to No 601 Squadron, he moved to Hendon with a Warrant Officer and 19 airman to form an new Auxiliary squadron, No 604 (County of Middlesex). His career almost came to an end on 17 February 1931, when Wapiti J9096, which he was recovering after a forced landing on Hampstead Heath, stalled and crashed into a house and was written off, fortunately Flight Lieutenant Fogarty walked away.